Craig Levein celebrates Hearts 4-2 victory over Motherwell. Craig Levein heaped praise on Hearts after they booked their place in the Betfred Cup with an exhilarating performance against Motherwell. 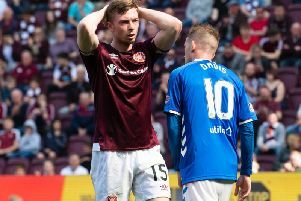 The Tynecastle side responded well to falling behind early on and produced a display which left the manager purring with delight.